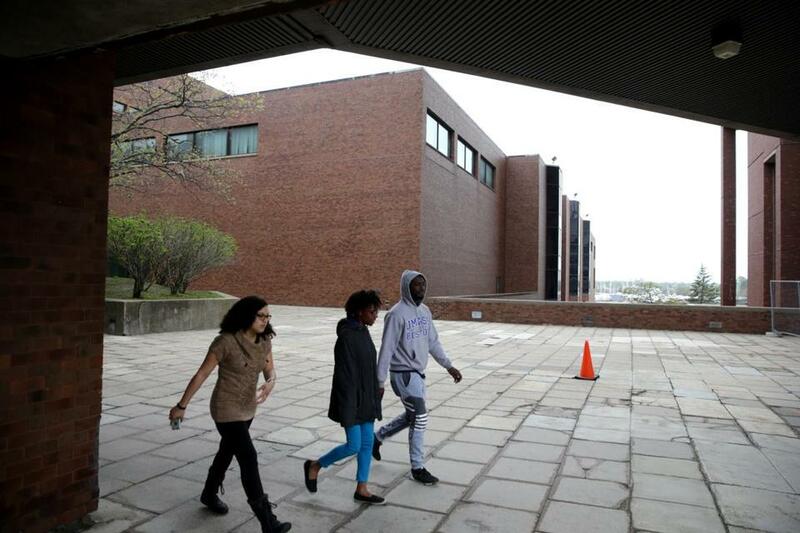 A tuition increase at the University of Massachusetts is necessary and is lower that what many private colleges have implemented, President Marty Meehan said. WORCESTER — The price of a public university education in Massachusetts will increase by 3 percent this fall, as the University of Massachusetts system faces slow enrollment growth, limited state aid, and rising expenses. Students at four University of Massachusetts campuses will see their tuition increase to an average of $14,253 this year, and thousands of undergraduates who live on campus will see their costs for room and board rise by hundreds of dollars, under a plan approved by the system’s governing board on Monday. Massachusetts already has among the most expensive public university tuition costs in the country, and the 3 percent increase comes on the heels of a 5.8 percent increase this past year, and a 5 percent increase in 2015. The UMass system did not raise tuition in 2013 and 2014. Still, UMass President Marty Meehan said the tuition increase is necessary and is lower that what many private colleges and neighboring public universities have implemented. “This is a modest increase,” Meehan said. “This plan puts UMass at the low end of the scale of tuition increases among our private and public peers in the region, underscoring the fact that UMass remains an exceptional value for a world-class public research university,” he said. Chancellors at the state’s universities will still be forced to also cut expenses, including leaving tenure-track professor positions unfilled or holding off hiring, he said. But for students and families, tuition increases are taking their toll, said Derek Dunlea, a rising senior at UMass Amherst and a member of the system’s board of trustees. Dunlea was the only board member to vote against the tuition increase. Many students have to work as waiters or take overnight shifts at the school library to afford their current tuition costs, and these increases put even more strain on their budgets, Dunlea said. The increases ultimately make it harder for students to graduate on time without having to take time off to work and raise money, students said. For Amy Blanchette, 34, a rising sophomore at UMass Dartmouth and a single mother, the increasing costs of attending school can be discouraging, and she worries that the price will simply continue to go up. “It scares me about whether I want to go further,” Blanchett said. Meehan said university officials are aware of the challenges students are facing. “You’re balancing the need for more revenue, with the whole issue of affordability,” he said. Other public universities have also raised tuition for the coming year. Connecticut raised tuition for its public universities by 4 percent annually, and for its public colleges by 2.5 percent annually, for the next two years. The University System of New Hampshire is increasing in-state tuition by 2.5 percent in the fall. Maine’s public universities will increase tuition this fall by 3.3 percent, that system’s first increase in six years, according to school officials. Currently, UMass undergraduate students pay on average $13,837 annually to attend UMass campuses in Amherst, Dartmouth, Lowell and Boston. The 3 percent increases will mean their tuition will go up by $416 next year. At UMass Amherst, Dartmouth, and Lowell, students will also see an increase in their room and board costs of about $400, from $12,026 last year to $12,424 for this coming fall. Out-of-state UMass students will see on average a 3.6 percent increase in their tuition, or $1,115, from $31,269 currently to $32,384 next year. Student enrollment in the UMass system is expected to grow by just under 1 percent, far slower than the nearly 3 percent it has increased over the past three years. Colleges and universities across the country are facing similar enrollment declines and being forced to make difficult budget decisions. State legislators are also providing the system with less funding than it requested. In the 2018 state budget that state legislators approved earlier this month, the UMass system received $513.5 million, a $5.2 million increase over the previous year. But the system had requested $538.6 million. Still, with scholarships and financial aid, the actual cost is increasing at a slower 2.1 percent. James A. Peyser, the Massachusetts secretary of education, said this fall’s increases at UMass are reasonable, but he worries that continuing increases will make it difficult for students to earn a public university degree without taking on huge debts.